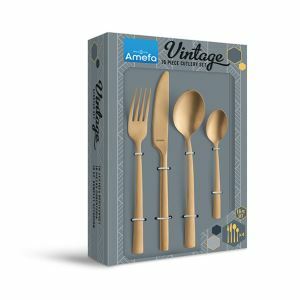 Enjoy your home cooked meal with this edgy vintage cutlery set. Gold is thé musthave colour on your table. 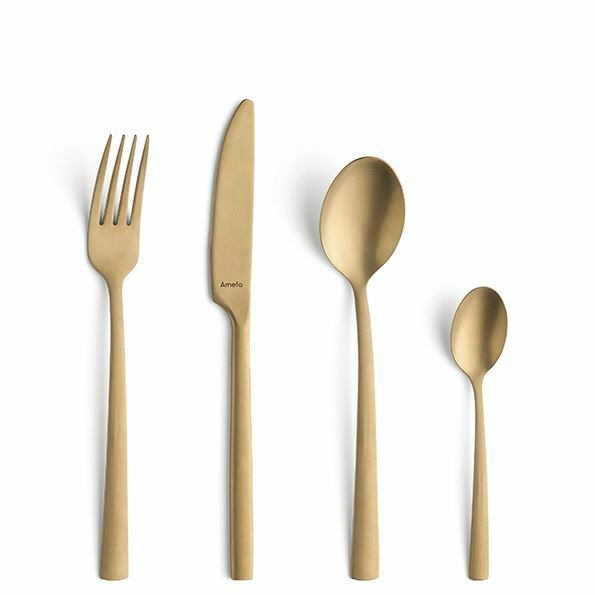 Combine gold with white, black or wood to make a real statement in your table setting. 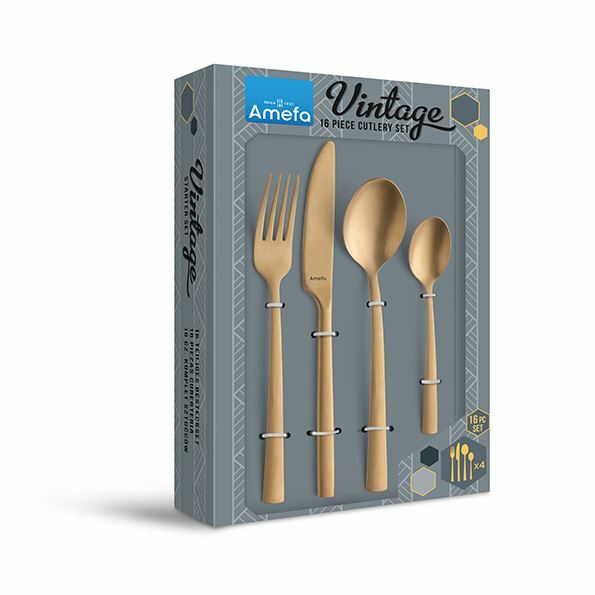 Manille Gold is available in a 16 piece set for up to 4 persons.